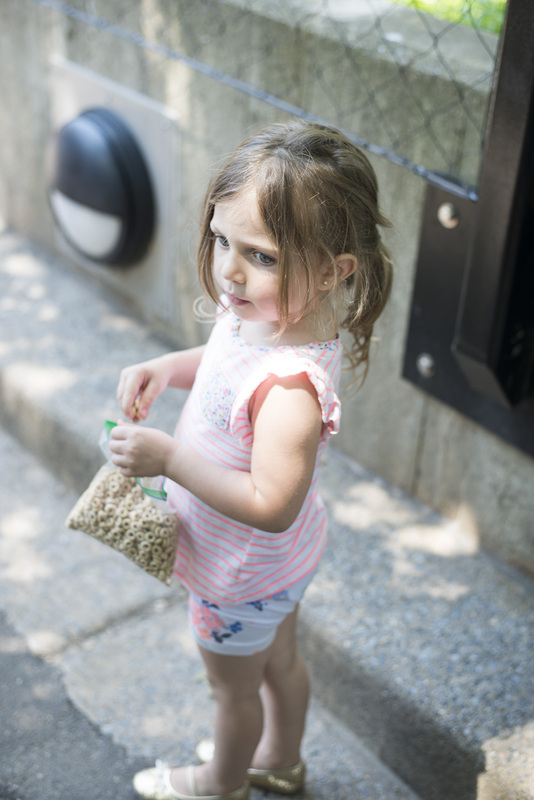 When I found out we were moving to Washington D.C, I wanted to scope out all of the fun things to do with the kids. Not only is the zoo super cool and right in the middle of the city, but it’s free! We actually became Zoo Members for a small price so that we always get free parking and discounts on a variety of things while at the zoo. Plus we have the perfect excuse to frequent the zoo all the time… and mama loves me some pandas! Now that we’ve gone a few times, I’ve learned the dos and dont’s of conquering the zoo with preschoolers. Some tips, tricks, ways to make it enjoyable for everyone. VISIT THE ZOO WEBSITE BEFOREHAND: There are so many tidbits and small pieces of info that are helpful to know before planning your trip. What food options are available? What’s parking like? What exhibits are closed? Etc. You may also find some super fun and exciting things, like these scavenger hunt sheets to print and bring with you! PARK STRATEGICALLY: Since our zoo is situated on a hill, we always make sure to park at the bottom of the hill and make our way up. That way, when the kids are ready to zonk, it’s much easier to make it downhill than to trek all the way up the hill. Even if your zoo isn’t on a hill, try and make a plan on the best place to park at the end of the day. WATER, WATER, WATER: I know, this sounds super obvious. But it’s so easily forgotten when you’re throwing 900 other things into the bag. 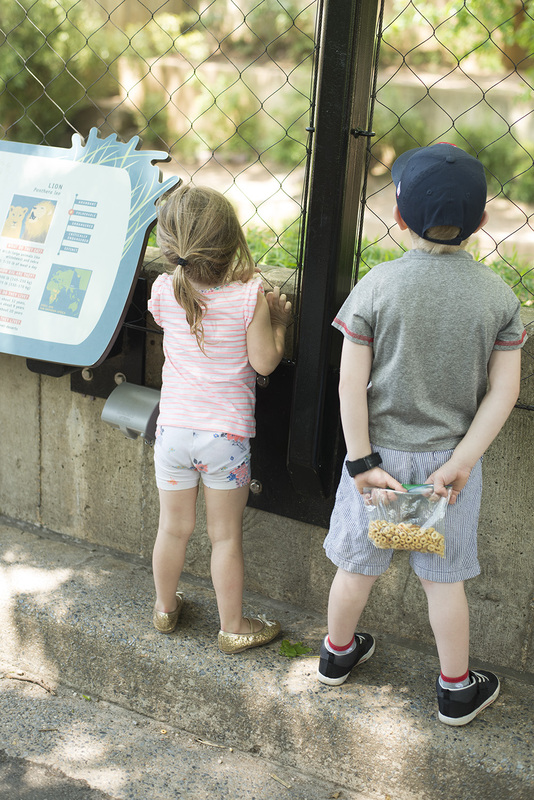 These are the little things that will add up when you’re at the zoo. Like $3+ for a bottle of water? #highwayrobbery. VISIT ON A WEEKDAY. AND IN THE MORNING. I say this for a few reasons. First of all, less crowds. When there are too many people crowded around an exhibit, the kids tend to get a little frustrated and it’s not enjoyable anymore. The mornings are also cooler which makes it easier to be outdoors. If you can get everything done before noon, even better! The mornings are also the best time for the animals; super awake and active! 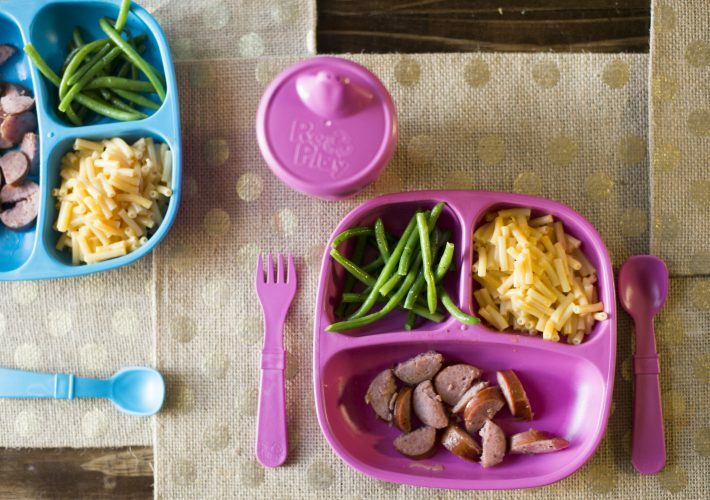 PACK SNACKS: Snacks are seriously our saving grace when things get rough. Even if I feed the kids right before we go, they will complain about being hungry the minute we arrive. So not only do I usually pack things like sandwiches to fill them up, I also pack snacks in baggies so that they can carry them around and snack as they please. 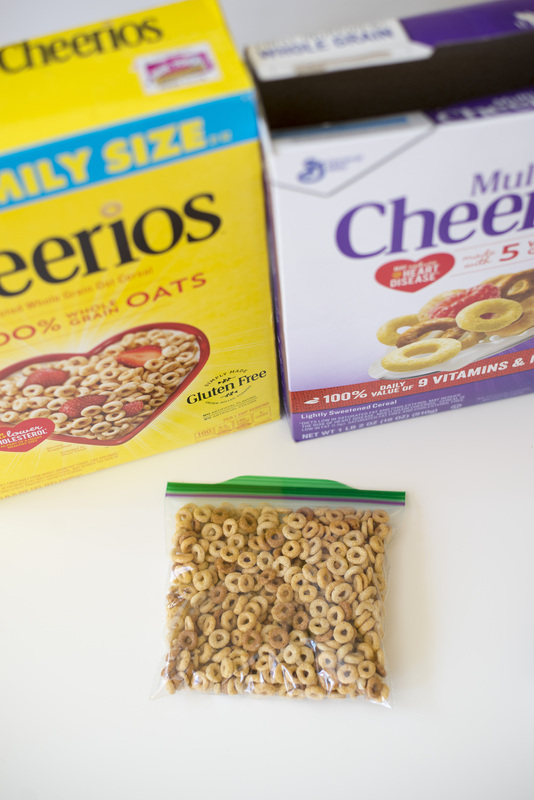 Cheerios have always been one of our favorite snacks for them; when at one time I would choose these for them, I love that they now choose them on their own. 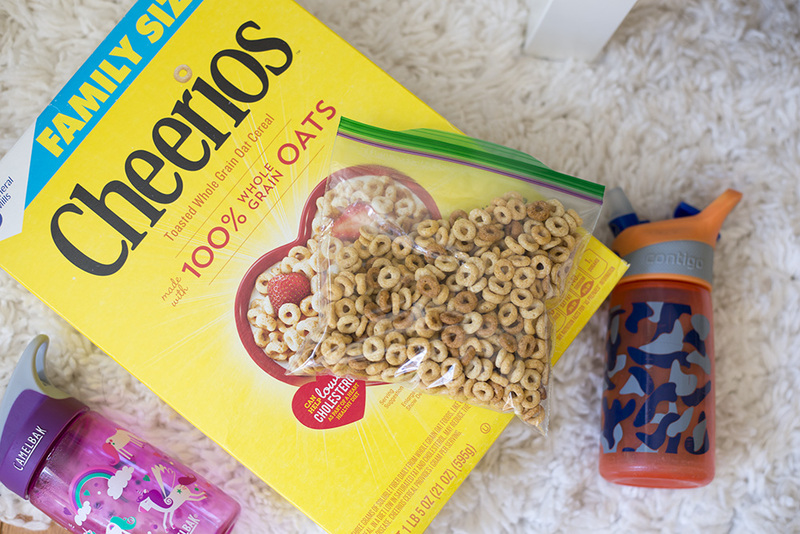 We love all varieties but the original Yellow Box and Multi-Grain seem to be the kids’ favorite! DRESS COMFORTABLY: I know, another “obvious” tip. However, this doesn’t just go for shoes but for the entire outfit. 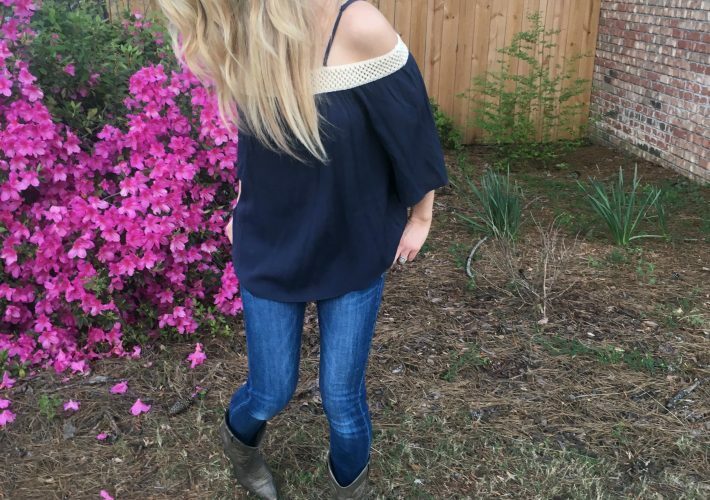 Breezy and loose is your best bet. It keeps them cool but they’re also able to move around more comfortably and fully participate in all of the physical aspects of the day. Tennis shoes + socks are best! 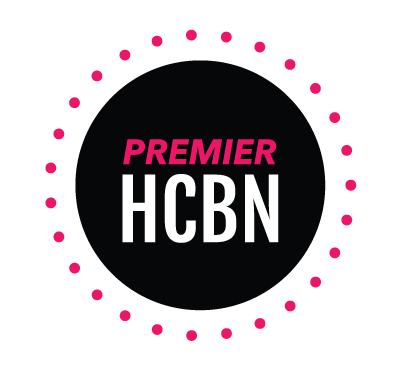 OTHER ITEMS TO PACK: Water bottle misters, sunscreen, bandaids, blankets, hand sanitizer, baby wipes, camera! I made a little video from our latest adventure on Mother’s Day! 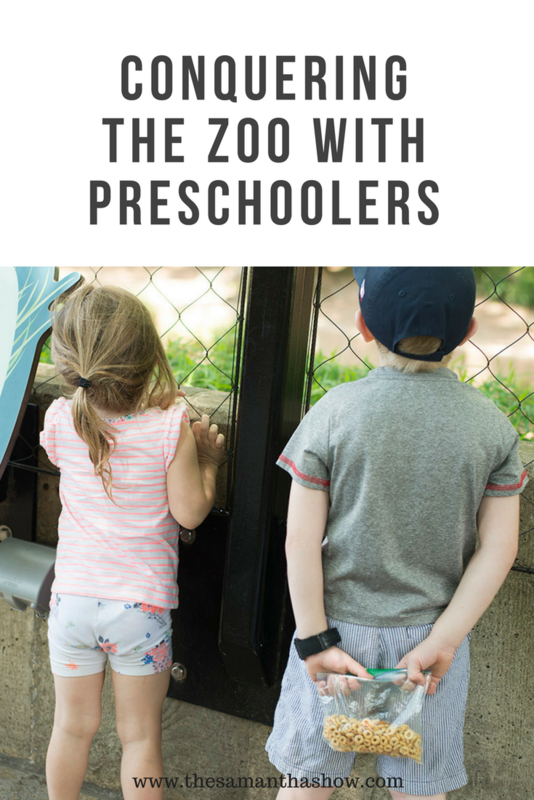 Take a look and see how we successfully conquered the zoo with our preschoolers!